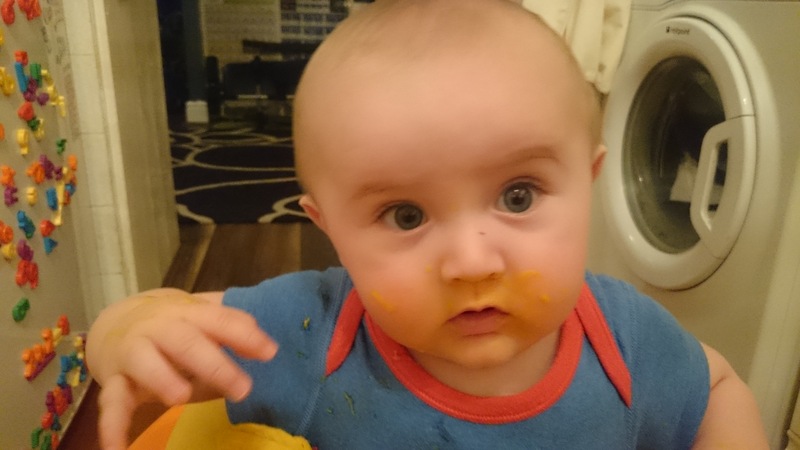 We’re about 6 weeks into Jake’s weaning journey now and without wishing to jinx it, things are going pretty well! 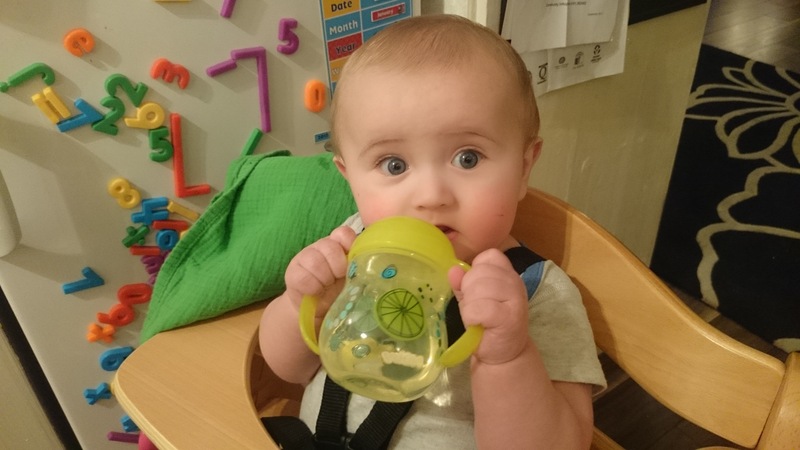 I think that we’ve had a much more relaxed approach to weaning this time around compared to with Joe and that has meant Jake has responded positively to just about everything we’ve given him. I must also admit to using a lot more pouch baby food and a lot less time pureeing and freezing than I did with Joe as they have just proved so convenient, especially when out and about, and in fact I think it has introduced Jake to a wider variety of flavours and foods than he would have had if I’d spent all day slaving over the blender making miniature portions of stuff. Being part of the HiPP Organic Wean Team has given us the opportunity to try a lot of their pouches and jars and Jake has happily enjoyed all of them (with the exception of a mild curry one which he wouldn’t open his mouth for!). 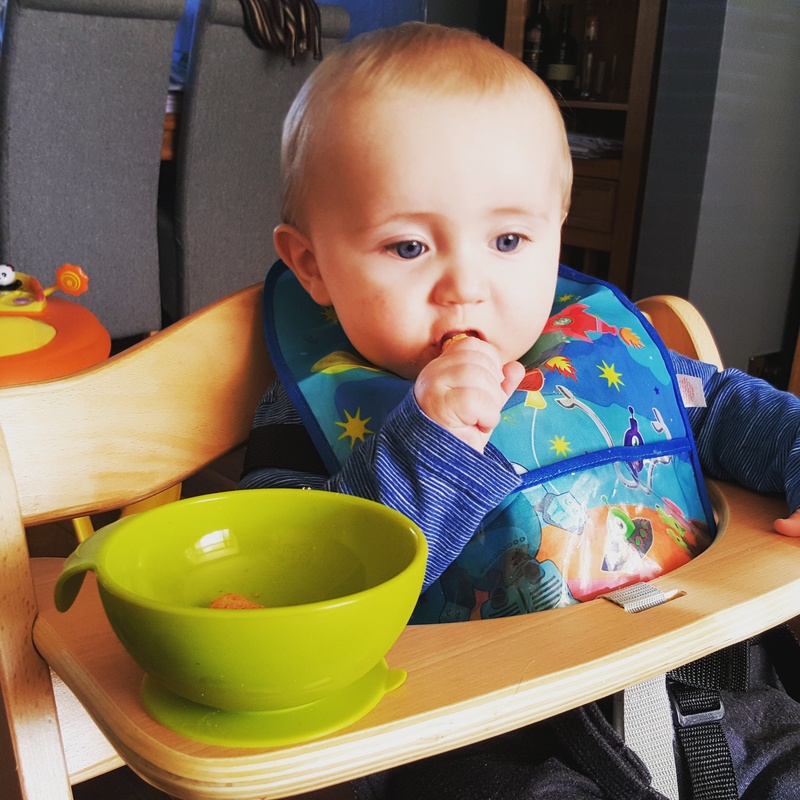 I had thought that I would try a more baby led weaning approach, but when it came to it, I felt more comfortable spoon feeding to start with, until he was a bit more steady sitting up in his high chair. The last couple of weeks we’ve started offering baby biscuits and little snacks he can hold easily in his hand and chomp on and he seems to be getting the hang of it. He also likes holding his own spoon and if we only put a little bit of food on it he doesn’t make too much of a mess! Of course a major part of the weaning journey is slowly reducing milk intake as food intake increases. Obviously this process will vary widely depending on how your baby currently feeds and how often. Jake has been formula fed since he was a day old so we made the decision to move on from his original milk to HiPP Organic Follow-on Milk to complement his weaning diet. 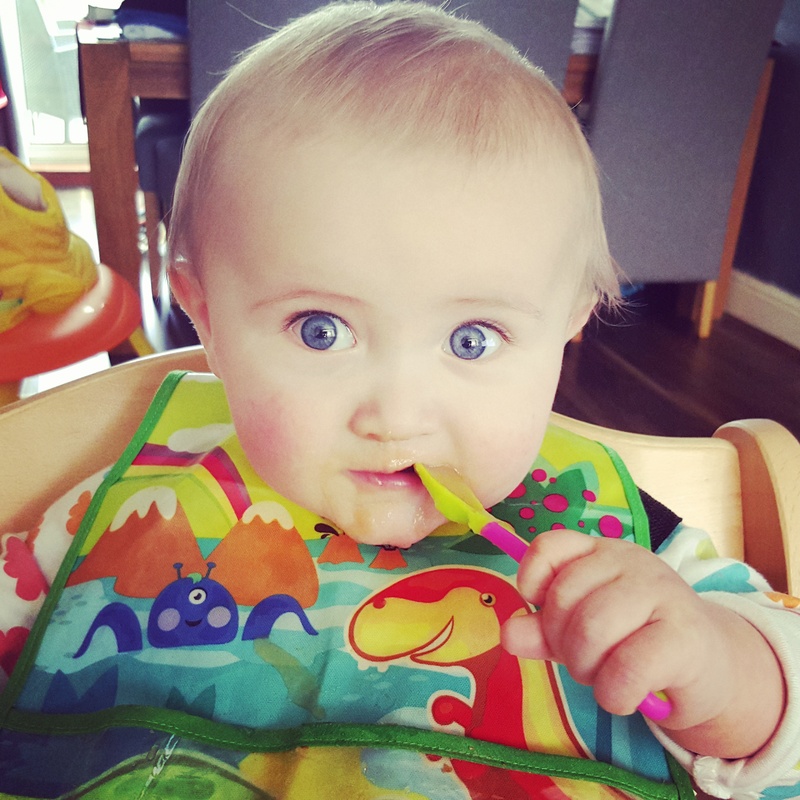 The decision to use a follow-on milk is very much a personal one, and there is no need to move your baby onto it if you are happy to continue breastfeeding or want to stick with your existing formula, but we felt it was the right thing to do for us. 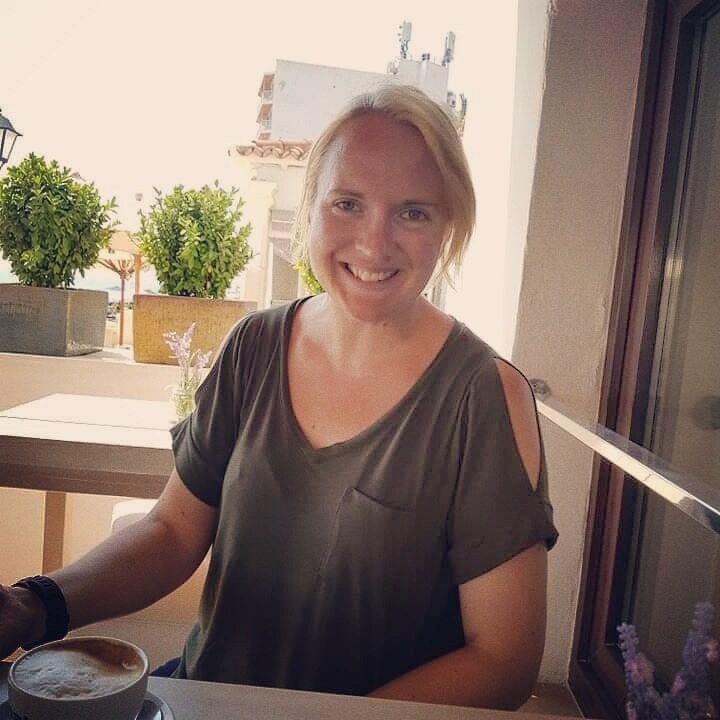 HiPP nutritionist Helen Gardiner says: “Follow on milks are designed to complement the weaning diet while your baby is getting used to a variety of different tastes and textures. They are higher in iron and vitamin D than standard infant formulas which can really be a help if baby is not eating many iron-containing foods and is therefore at greater risk of iron deficiency, and to help protect baby against becoming vitamin D deficient”. HiPP Organic Follow-on Milk includes the essential ingredients babies need including iron for cognitive development, vitamins A, C and D for the immune system and PRÆBIOTIK®. We have been using it for a couple of weeks now and have found no problems in the transition from Jake’s previous formula and he seems just as happy and comfortable. The number of bottles he has per day has reduced steadily, although we are still relying on his milk feeds throughout the day to keep him satisfied, particularly at bedtime. 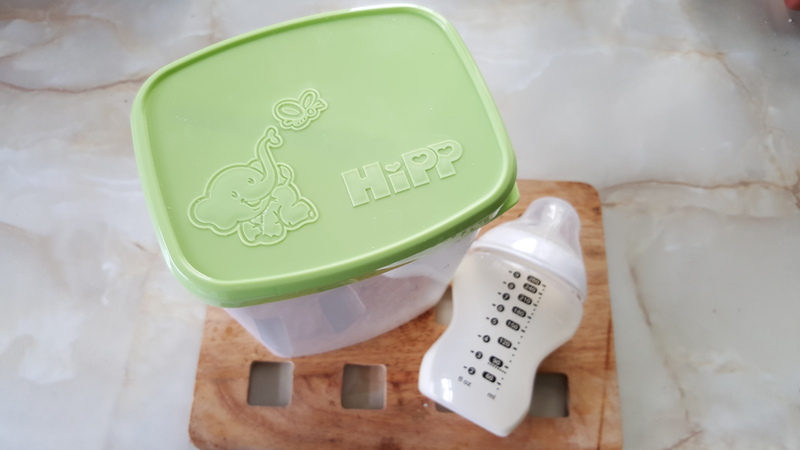 We have been keeping the powder in the HiPP Organic reusable milk storage box, which has a built in scoop holder in the lid and a scoop leveller inside. It takes some of the hassle out of making up feeds! 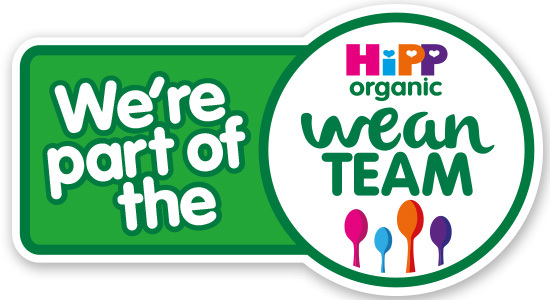 I am working with HiPP Organic as part of their Wean Team project, documenting Jake’s weaning journey. All opinions of any products mentioned are my own.